כ 239 ₪ בלבד ומשלוח חינם. כולל 6 דמויות קטנות: קאי, זאן, לורן, הנרי, האמר ראש וג ‘לי. Turn up the heat on the shark army with the iconic Fire Mech! Hammer Head and Jelly have captured Lauren and Henry, so jump into the cockpit with Kai and track them down. Fire the massive mech’s shoulder disc shooters and aim its scorching fire blasters at the shark soldiers. Then leap off the mech, grab your katanas and team up with Zane to force those shark soldiers to surrender. 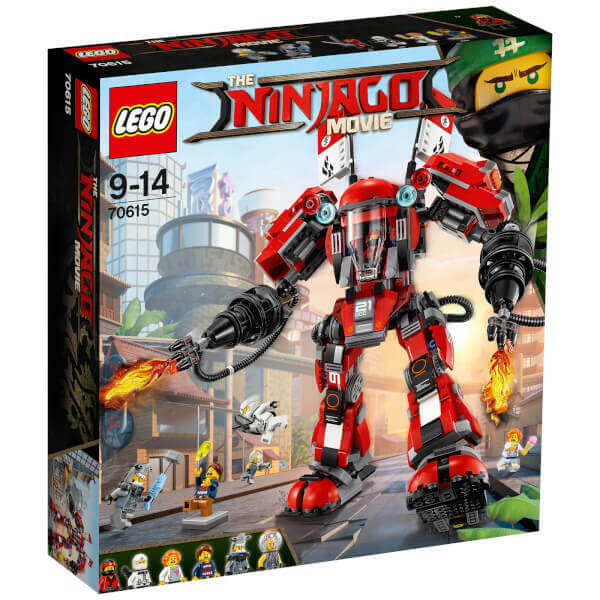 Includes 6 minifigures: Kai, Zane, Lauren, Henry, Hammer Head and Jelly. 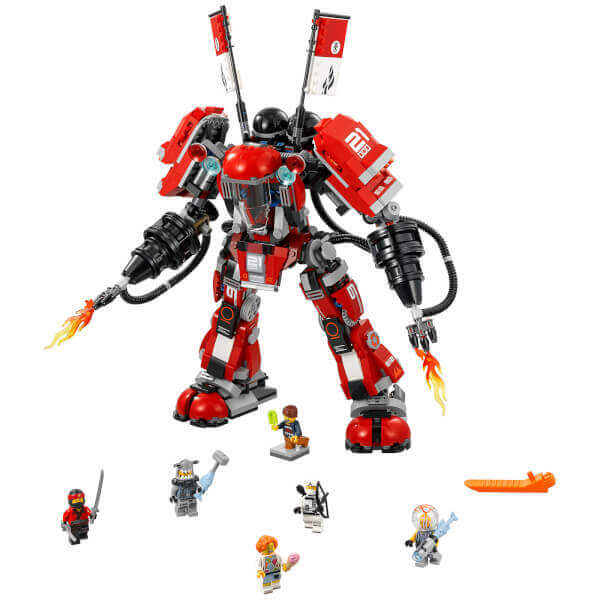 Fire Mech features an opening minifigure cockpit, posable arms and legs, 2 non-shooting fire blasters with translucent fire-style elements, 2 shoulder disc shooters, 2 fire tanks decorated with NINJAGO® symbols and 2 flags with samurai-style decoration. Weapons include Kai’s 2 katanas, Zane’s bow and arrow, Hammer Head’s fish hammer and Jelly’s fish-zooka. Accessory elements include an ice cream cone and popsicle. Recreate and role-play exciting THE LEGO® NINJAGO® MOVIE™ scenes. Fire Mech measures over 14” (36cm) high, 4” (11cm) long and 8” (21cm) wide.